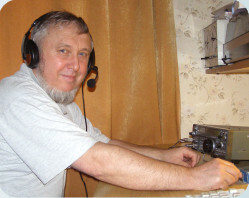 UX5UO print >> About "UX5UO Print"
Gennady Treus (UX5UO) has been on the air since 1967, ex op. UK5UBB, ex UB5UKO, RT5UO and KE4EKT. Contest call US1U. Hobby #1 is DXing. QSL-cards printing is hobby #2 as well as being a small personal business. Most cherished dream is to win DXCC Honour Roll Award for making QSLs in addition to existing DXCC CW, DXCC SSB, DXCC RTTY, DXCC H.R. #1, 5B DXCC and other awards.